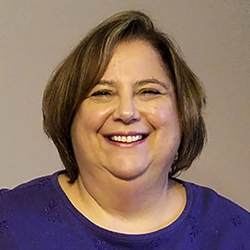 My name is Connie Chrosniak and I am licensed by the state of Ohio as a Licensed Professional Counselor and a Certified Chemical Dependency Counselor Assistant. I received my Master of Arts in Clinical Counseling from Ashland Theological Seminary in 2012 and my Chemical Dependency Counselor Assistant certification in 2015. I have been involved in various church activities surrounding healing the mind, body and soul. In my counseling career I have worked in church settings, community mental health agencies, residential treatment and private practice. I have also worked with individuals, couples, and groups. Additionally I have developed and facilitated workshops on Codependency. I am blessed and honored to have been called by God to bring my gifts and talents to North Coast Family Foundation, continuing to work and grow in the call He has placed on my life. All my work is supervised by Dr. Charles F. Misja, licensed psycholgoist. It is my desire to reach out to those who desire to incorporate their faith in God as they address their problems and concerns. I have been married to my husband Rick for more than 20 years and I have one step-son. My husband and I are currently on the core team of a church plant at Richfield Community Foursquare Church in Richfield, Ohio.